Although Anthony Bourdain was well-known for traveling to unique places on his show Parts Unknown, his fans are paying tribute to him in the wake of his death at the place where it all began: Les Halles. 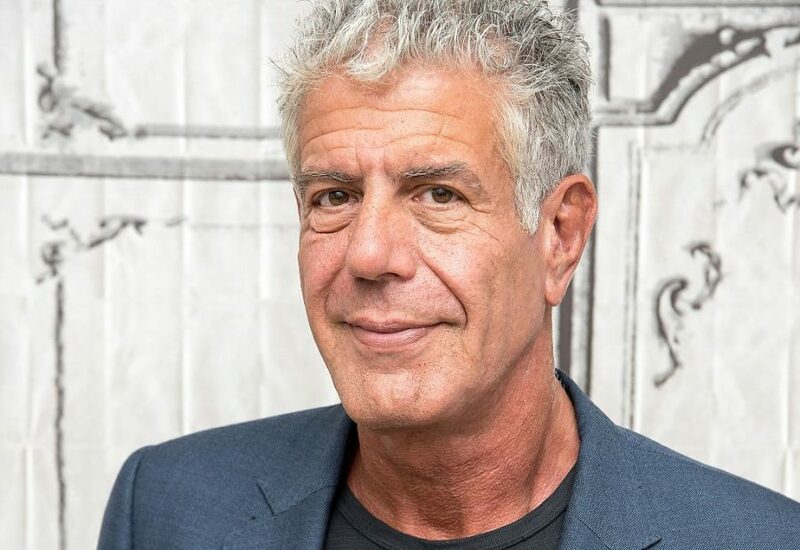 Bourdain, 61, who died of an apparent suicide in France on Friday, spent decades working in restaurant kitchens, and worked as the executive chef of the French brasserie for eight years when he submitted an essay to The New Yorker that focused on the misconceptions of the restaurant industry and its darker side. In 2000, that essay sparked a memoir that rocked the industry, titled Kitchen Confidential. Les Halles had two locations in New York City, the first of which was on Park Avenue and closed down in 2016, and the second FiDi location followed suit in 2017. But on Friday, the signage was still up on both, despite the doors being locked and windows boarded up. 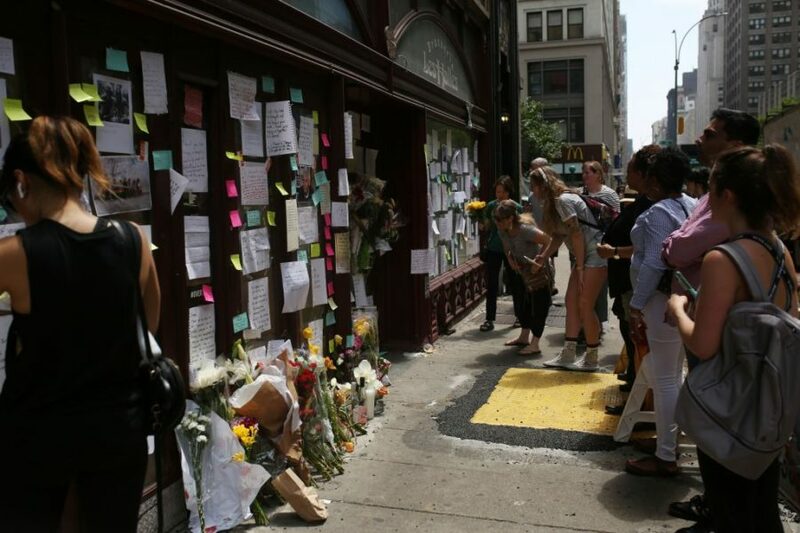 Fans visited both locations of the former restaurant to mourn Bourdain’s death, placing bouquets of flowers in the door handles and overflowing them onto the sidewalk. They also taped handwritten cards, sticky notes, and photographs to the storefront. Fans continued to crowd around the store throughout the weekend, with tributes growing in both locations. In one photograph posted on Twitter, it seems a fan placed a pack of Marlboro Reds, Bourdain’s smoke of choice, in front of the restaurant’s doors. If you or someone you know is considering suicide, please contact the National Suicide Prevention Lifeline at 1-800-273-TALK (8255), text “help” to the Crisis Text Line at 741-741 or go to suicidepreventionlifeline.org.